1We have over 10 years of experience in installing and maintaining residential and commercial alarm and camera systems. 2We take each job individually and tailor a system that is right for our client. We strive to think out of the box with the installation to ensure it is done most efficiently and cost effective. We look at new products to ensure we are on top of the changes and innovations in the market. 3We have been on the Outer banks since 1996 and know the area well. Being locally owned with my son and I as the only owners, we can make quick decisions and follow through in a timely manner. 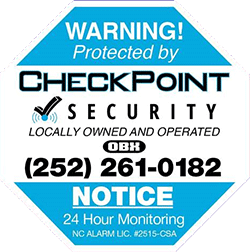 4We have an NC Electrical license, and NC General Contractors license, and we are licensed by the NC Alarm Systems Licensing Board. We have to take required continuing education classes each year to maintain our licenses.